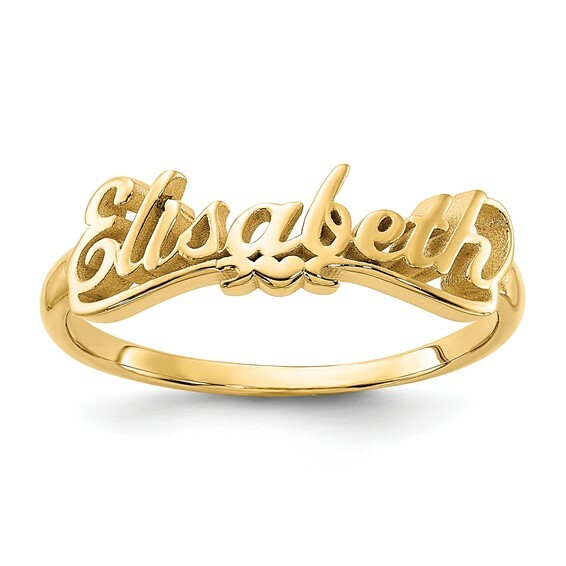 14kt yellow gold plated sterling silver ring is made to order with the name or single word of your choice. Heart accent below name. Engrave up to nine letters, numbers or symbols. Available in whole and half finger sizes 5-8 only. 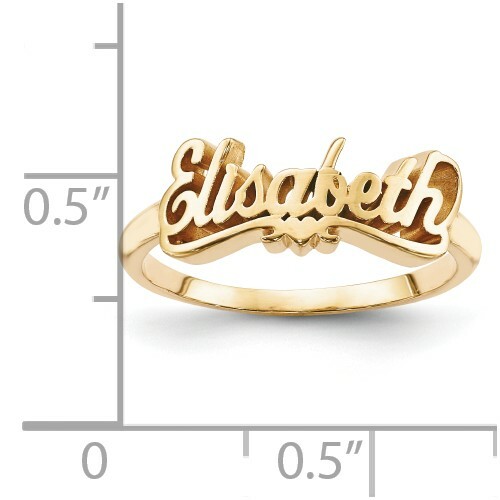 Approximate ring top width: 5mm. Size 7 weight: 1.9 grams. Made in USA. Love the ring! Looks great! Looks great! However, the lettering is much much much smaller than expected. A little disappointed in that respect, but it still looks good. The ring I had bought was cracked as soon as it arrived therefore I am not happy with the purchase I made. I really wish there was a way to get that fixed with no penalties/charges towards my name. I mistakenly put the name in capital letters instead of a capital first letter and the rest in lower case letters, so be careful how you submit name you want on ring.